10 local DID phone numbers. Take advantage of SIP Trunks to connect your IP PBX to the world and save money. And there are NO Contracts on voice services. Applied VoIP simply charge a monthly Fee for the service type you select irrespective of the number of lines you connect. Outbound calling to anywhere local, mobile or international. Inbound calling with local Australian phone numbers. 13, 1300 or 1800 numbers available on request. If you purchase the Business 1 DID at the monthly fee of $15.00 + GST you will receive a single number SIP trunk service that allows both way dialling. The number of "lines" or concurrent conversations is limited only by the size of your Toshiba Businessphone System and the SIP trunks that have been enabled on it. THE MONTHLY ACCOUNT FEE OF $15.00 + GST REMAINS THE SAME IRRESPECTIVE OF THE NUMBER OF SIP TRUNKS YOU HAVE ACTIVATED ON YOUR TOSHIBA SYSTEM. You only pay for the calls that you make not expensive bundle packages. It would be the same for Business 10 DID, except that you receive 10 DID numbers, and Business 100 DID with 100 numbers etc. For the first time since telephony was introduced to the Australian public, users have the opportunity to circumvent the expensive penalty of line rental. The NBN is a new communications network to replace the existing system and give Australian homes and businesses super-fast internet and phone access. 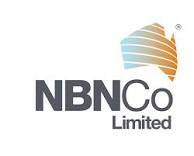 It’s run by the government-owned NBN Co but Applied VoIP will be with you every step of the way to help manage the transition. You will be able to run Applied VoIP SIP trunks from your NBN ready Toshiba CIX or IPedge telephone system when the copper services are upgraded to the super fast fibre optic services. VoIP lines, Fax, and Internet services can be fully supported from the single internet connection.